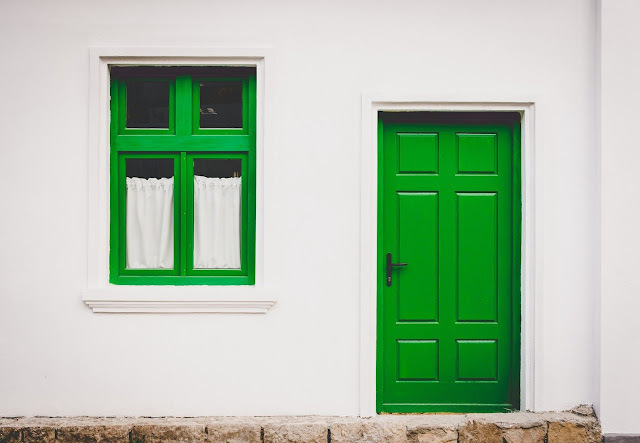 It is one of the most common financial issues people face: paying off a housing loan.The commitment and obligation that comes with a mortgage can be pretty daunting. Especially when you’re faced with large amounts that can amount to hundreds of thousands. Paying off a loan with that amount in a short time frame is likely impossible (unless you’re sitting on a mountain of inheritance). If you haven’t committed yourself to a loan yet, pull out any housing loan calculator in malaysia to play around with numbers to optimally come up with a plan that you are financially comfortable with. If, however, you are already on your repayment journey, then perhaps you can think about ways to shave off years off of your payment schedule, which might help in saving you money in the long run. Here are some tips and tricks to help you on your way to settling your housing loan earlier. Consistent repayment is usually the way to go when it comes to fulfilling your loan commitments. However, depending on the type of financing you acquired, making additional ad-hoc payments can certainly reduce the principal on your housing loan at a faster rate. If your loan is a flexible-rate loan, then making additional repayments will save you a lot in terms of the total amount paid in interest. However, if your loan is a fixed-rate loan, then extra repayments will probably not do much in reducing the amount of interest charged. Again, whether you will save any money if your loan is fixed-rate is up the discretion of the terms in your contract. Building off of the previous point, making additional repayments earlier in the loan term will be more beneficial for you in terms of time and money saved, if you have a flexible-rate loan. If you make your first home loan repayment earlier than the first settlement date, then this will reduce the principal before the first lot of interest accrues on the amount you have borrowed. On another note, most lenders will allow you to make extra payments and mark it “principal only”, meaning that this amount will go down to paying for the principal amount, rather than both the principal and interest. These extra repayments will save a lot of interest charges off your final loan amount. Not to mention, making extra repayments will get you out of the loan ahead of schedule. If you have had your current home loan for a number of years, perhaps it’s time to consider refinancing. It is important that you keep up with the current climate in the financial markets in order to determine if the interest rates on your current loans are the best rates you can acquire. In certain situations, refinancing your loan will allow you to benefit from lower interest or financing rates, depending on the current economic climate. For example, perhaps you are 10-years into your current 30-year mortgage and find yourself in a better financial position. Refinancing this into a 10- or 15-year loan will help you work through repayment faster. Not to mention, it will get you better interest rates as well, as shorter-term loans typically come with lower interest rates. Financial windfalls come in many forms: bonuses, tax returns, inheritances, etc. Although you might be tempted to spend the money on pleasure, why not put it to better use? If you use most, if not all, of the extra money to make additional payments on your housing loan, you will make serious progress in getting the principal paid off. Additionally, if you get a raise in your income, consider rethinking your financial plan to allocate more towards paying off your mortgages. Since you won’t be used to having the extra money, you won’t even miss it if you put the extra amount into settling your debts! Sometimes, certain situations will arise to make you stray from your repayment plans. For example, when interest rates fall, you might be tempted to lower you home repayments to keep pace with the minimum required repayment amount and just pocket the difference. Before you do this, consider the fact that keeping your repayment amounts at the original level will put in a significant dent towards the principle of your loan, especially when interest rates are dropping. Getting your home loans paid off is not just a matter of sound financial planning, it’s also a matter of keeping yourself away from the temptation to stray from it. Final thoughts: should you pay off your mortgage early? Before you consider all these tips to pay off your housing loans early, sit down and take a look a whether doing so will really save you money at all. In certain situations, paying off your loans early does not give you better financial payoff. For example, if your interest on your mortgage is already at a low rate, you can get better financial payoff by putting the extra money into investments instead. You can also consider directing your extra cash on hand into retirement accounts or other investment options in order to reap the best benefits from the extra cash. In these instances, letting the mortgage run out on its own time is by far a better choice. Recently I was in a financial crisis which was really hard for me to deal with. It was a devastating experience and I didn’t have any option for help. I ended up short term cash loans from lenders. They made it easy. I just need to fill out a short form to find a lender. Yes, borrowers can obtain a title loan through a bank or other financial institutions. ... With a vehicle loan, borrowers use money to purchase a car, but with a title loan, borrowers use their car as collateral in order to secure money that can be used for any personal purchase. I had an no idea about these tips and tricks. Really informative and impressive for me. If you guys are looking for home so, i will recommend you to visit Zameen for You because it is the best online real estate portal. I think its good tips for housing loan and people should take advantage from it. I will also think about it and try it to take loan. Good effort dear keep it up.